According to the Tea Association of the U.S.A., the country’s consumption of hot tea has grown at a steady rate for the last five years, though iced tea still accounts for nearly 80 percent of tea consumed in the states. Caffeine conglomerate Starbucks may have decided to shutter its Teavana locations in 2017, but the Tea Association’s 2017-18 review and forecast indicates a growing hot tea market supported by Millennials and Generation Z consumers who are exploring specialty and artisanal teas. That slice of the American tea industry is where Sarah Chapman, owner of Vida Pour Tea, thrives. 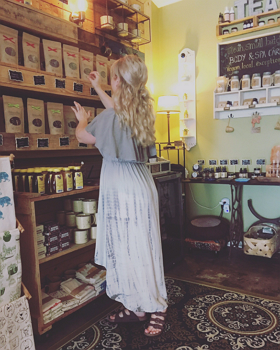 At her tea shop in Greensboro, N.C., she shares her passion with curious new customers and loyal regulars alike, offering seemingly limitless combinations of organic, fair-trade teas that promote health and relaxation. Sarah Chapman’s personal journey with tea began when she was growing up in Upstate New York. After her ice hockey games, her father would take her to eat at a Chinese restaurant, where she enjoyed a relaxing cup of hot tea. While studying abroad in Thailand years later, Chapman became ill and turned to tea for comfort. Though her path from ice hockey player to college student to tea specialist may not be a traditional one, Chapman says it felt “unavoidable” since her varied experiences all led her back to tea. Prior to opening Vida Pour Tea four years ago, she spent time honing her tea expertise by conducting tastings. Taking the time to get to know her customers in order to understand their preferences and what they’re looking for remains a cornerstone of Chapman’s business practices. Chapman uses a similar question-and-answer process to help customers find the right teas for any ailments and health concerns they might have, noting that tea can help improve everything from diabetes to high blood pressure. In addition to the physical health benefits tea can provide, Chapman encourages each of her customers to take a few minutes each day to let tea improve their mental health. New customers who have limited experience with tea often think they don’t like it because it tastes bitter, but Chapman is quick to explain why that likely isn’t the case. Chapman also offers custom tea blends in order to make sure her customers can get exactly what they want – even if it’s coffee or an iced tea on a hot day. Coffee at Vida Pour Tea is sourced from another local business, and any tea blend can be hot or served iced. Starting dialogues with customers helps Chapman establish relationships with them in order to offer uniquely personal experiences each time they visit, a practice large businesses often can’t afford to do. 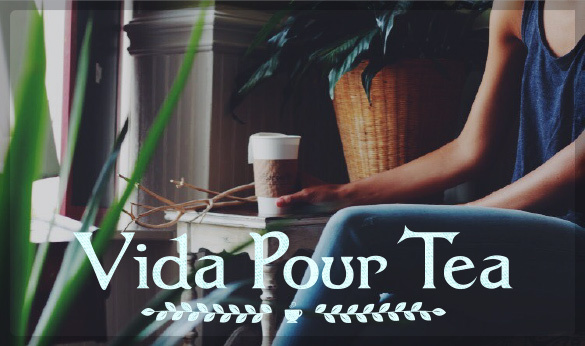 Vida Pour Tea blends are popular with health-conscious and farm-to-table businesses in the area since they often focus on serving ethically grown and sourced ingredients. Chapman seeks out organic, fair-trade products from companies like Encha, which produces certified organic matcha, and an Asheville, N.C.-based supplier who works directly with farmers in Rwanda. Chapman believes the farm-to-table movement, which promotes organic and locally sourced ingredients, has helped hot tea pick up steam in recent years. Focusing on partnering with other local businesses, sometimes to create proprietary blends for their guests to enjoy, has helped Chapman grow her own business. 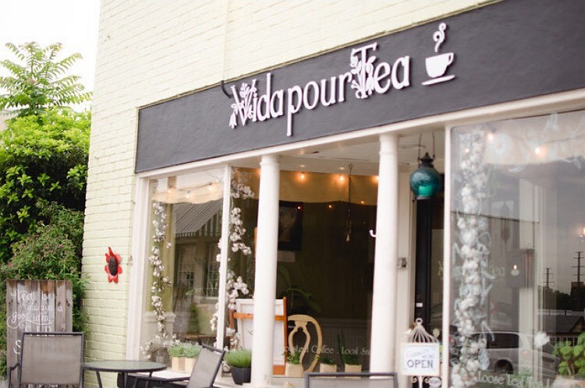 In addition to bars and restaurants in the area, Vida Pour Tea can also be found in the Local Honey hair salon as well as a local bookstore and a boutique. Though Chapman has found success with Vida Pour Tea, she has no plans to turn her local tea shop into a global brand. Instead, she emphasizes the importance of building small businesses within your community and supporting other small businesses whenever you can.